Ever wanted to buy a used game at EB or GameStop, but it is either dirty and disgusting or the case and instructions are missing? Don’t let this happen to you or anyone else ever again. If everyone learned how to take care of their games better, the world would be a happier place. And it all begins by following the tips right here in this article. The first step to keeping your games (or at least the cases) in good condition is to store them properly. 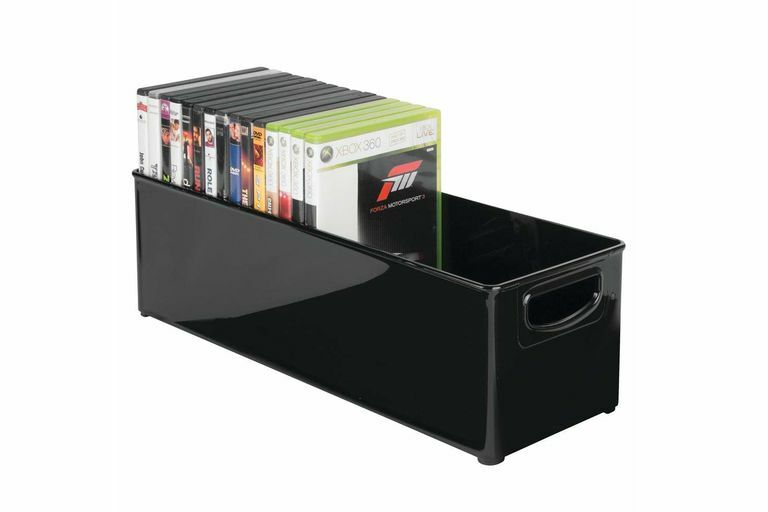 Finding a good shelf isn’t too hard, so look at DVD/Blu-Ray/game storage shelves at Amazon and find one that suits you. You can put two or three together along the same wall if you need the extra storage and they look great. When using shelves like this, don’t try to cram as many cases in as possible because you’ll scuff and damage the case. Leave a little wiggle room on each shelf to save yourself some trouble later on. Some people like to put the game discs into a CD holder notebook and then put the cases away in the closet or the attic. If space is a serious issue, then this can be a good solution. If you do buy a used game from EB and it is covered in price stickers and other gunk, don’t fret. There is a magical product out there that will solve all of your problems. Just use a product called Goo Gone and watch the glue and other stuff dissolve. Now your game case is as good as new. This area is pretty straightforward. If you need to clean a game disc, start from the middle and wipe outwards with a soft cloth. If the disc is in bad shape, we do not recommend the Game DR/Skip DR or other home resurfacing devices. They’ll do the job and your disc will work, but they leave a series of their own scratches on discs and if you ever want to sell your games on eBay, you won’t make a lot of friends selling discs that have obviously been Skip DR’d. Do yourself a favor and take it to a shop with a professional resurfacing machine. It’ll cost a couple of bucks per disc, but it is worth it. When you are done using a disc, do not just set it down somewhere. This leads to dirty, scratched discs and no one wants that. Put it back into its case or into your CD notebook. Never, ever, ever throw away the case or instructions for a game. They’ll be worth more later if they are complete. The main idea here is to treat your cases and discs the way you expect other people to treat theirs. If everyone takes good care of their stuff, everyone will be a lot happier with the end product when they go to buy, sell, or trade.